The IPL is going to be followed by the T20 World Cup in West Indies. 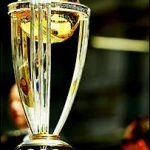 As per some “hard to understand” ICC rules, all countries had to announce their teams one month before the tournament starts. As a result, many players who are out of form in the ongoing IPL have been selected and many in-form players have been left out. Kris Srikanth, chairman of selectors, has also remarked recently that it is unfortunate that some of the players in good form in IPL have to miss out of the World Cup T20. I am trying to list below a team “Indian IPL XI“, which will include only those Indian players from the IPL who have not been considered for the World Cup. My contention is that if this team enters the World Cup, they would perform as well as the national Indian team. *Murali Vijay was later included in the side as Sehwag got injured. P.S. – I have not included Ganguly, Dravid, Kumble and Tendulkar as they have retired / refused to play in the World Cup. No rohit sharma,Zaheer Khan,M.S Dhoni, Suresh Raina???????? Not even a single spinner viz. harbhajan,amit misra or pragyan ojha???? Hey Aman, read carefully above, this team only has those players who have not been considered for indian side playing in world cup.. and amit mishra and pragyan ojha are both thr..